The St. Louis Cardinals system went 4-3 on Sunday, with the biggest win moving the GCL Cards into the finals. Player of the Day Johan Mieses’ grand slam gave Springfield a wild, extra-innings win. Recaps of games played on Sunday, August 26. With a pair of three-run frames, the Sounds pulled off a 7-3 win over the Redbirds in Memphis on Sunday. Daniel Poncedeleon labored across his 4 1/3 innings of work on Sunday, needing 92 pitches to get those 13 outs – including seven strikeouts. 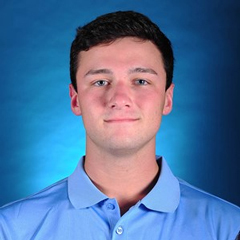 Conner Greene allowed two runs as he pitched through the sixth inning, and Tommy Layne was tagged for three unearned runs in the seventh inning. Edward Mujica and Andrew Morales combined to work two scoreless frames to finish Memphis’s pitching duties. Nevertheless, the Redbirds did not come through at the plate. First baseman Alex Mejia and shortstop Edmundo Sosa each had two base hits, and left fielder Randy Arozarena, second baseman Max Schrock, and catcher Steven Baron each batted in a run. Memphis did not have an extra-base hit and left five runners on base after going 1-for-5 with runners in scoring position. Monday’s game: Adam Wainwright (0-0, 0.00) vs. Nashville Sounds, 6:35 PM Central time. With four runs in the top of the 10th inning, the Cardinals defeated the Drillers by a 7-4 score in Tulsa on Sunday. 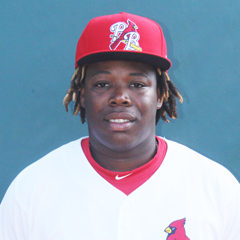 Cardinals right fielder Johan Mieses is our Player of the Day. With one out in the 10th, Mieses launched a grand slam, his eighth home run of the season, to put Springfield up for good. Shortstop Tommy Edman had three base hits and scored three runs, and first baseman John Nogowski went 2-for-4 with two runs batted in. 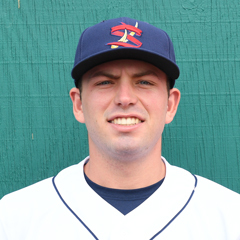 Matt Pearce worked five innings of three-run ball in his start for Springfield. Pearce was followed out of the bullpen by an inning apiece from relievers Hector Mendoza, Junior Fernandez, Derian Gonzalez, Seth Elledge, and Landon Beck. Elledge picked up the win and is now 3-1. Monday’s game: Casey Meisner (1-1, 3.41) at Tulsa Drillers, 7:05 PM Central time. The Cardinals scored two runs in the bottom of the ninth but fell just short of the Hammerheads, 3-2, in Sunday’s contest. With two outs, first baseman Juan Yepez – was 2-for-4 – drove in shortstop Irving Lopez with a double to put the Cardinals on the board. Left fielder Shane Billings followed with a base hit to score Yepez, but Billings was thrown out at second base trying to stretch his single into a double, which ended the game. Cardinals starter Sam Tewes logged three innings and allowed two runs. Tewes faced three batters in the fourth before Evan Guillory took over. Guillory worked the remaining six innings and limited the Hammerheads to one run. Tewes took the loss and dropped to a 1-3 record with the Beach Birds. Monday’s game: TBA at Dunedin Blue Jays, 5:30 PM Central time. A productive day in many ways at the plate and on the mound led the Chiefs to a 10-2 rout of the Snappers on Sunday. 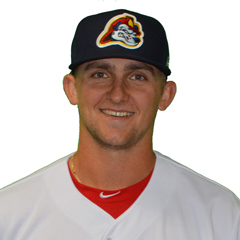 In his first game for the Chiefs, right fielder Justin Toerner had four hits with two runs batted and two runs scored. Center fielder Andres Luna went 2-for-4 with four RBI, and shortstop Rayder Ascanio was 2-for-3 and scored twice. Though Peoria had 14 hits, second baseman Wood Myers’ double was his club’s only extra-base hit. The team combined to go 6-for-11 with runners in scoring position and every player scored or drove in a run. Chiefs starter Zach Prendergast improved to 7-3 on the season after a quality start. Prendergast worked six innings of two-run ball and fanned six Snappers batters. Reliever C.J. Saylor handled the mound work from there, as he fired three clean innings, and was credited with his third save of the year. Monday’s game: Angel Rondon (3-2, 2.96) vs. Beloit Snappers, 6:30 PM Central time. The Muckdogs scored their runs across the first two innings and held on to defeat the Spikes by a 3-2 final score on Sunday. Spikes starter Jacob Schlesener allowed a run in the first inning and two in the second on a day where he lasted 5 2/3 frames. 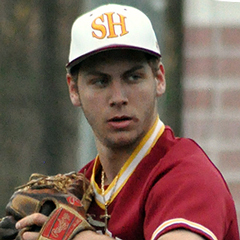 Schlesener struck out a team-record 11 batters but ultimately suffered the loss. With State College this year, Schlesener is now 2-5. Michael Baird worked the final 2 1/3 innings. State College stranded six runners on base and was 1-for-6 with runners in scoring position. Right fielder Lars Nootbaar doubled for the Spikes’ lone extra-base hit, and drove in both of the club’s runs. Shortstop Edwin Figuera and second baseman Imeldo Diaz each scored, and catcher Alexis Wilson drew State College’s only walk. Monday’s game: Franyel Casadilla (4-1, 1.59) at Batavia Muckdogs, 6:05 PM Central time. Fueled by just enough offense and quality pitching, the Cardinals enjoyed a 3-2 road win over the Reds on Sunday. Cardinals designated hitter Zach Jackson drove in the go-ahead run in the top of the ninth inning. Third baseman Liam Sabino was 2-for-4 and scored the aforementioned run, and right fielder Leandro Cedeno had a double, a stolen base, and a run batted in. Starter Chris Hunt worked six innings of two-run ball, fanning six Reds batters. Cole Aker turned in three scoreless innings of relief and took a much-deserved win to improve his record to 3-2. Monday’s game: TBA vs. Kingsport Mets, 6:00 PM Central time. With a three-run rally in the seventh inning, the Cardinals defeated the Phillies East by a 4-1 score in Sunday’s one-game GCL semi-final. Cardinals shortstop Mateo Gil, designated hitter William Jimenez, and left fielder Diomedes Del Rio each drove in a run in the decisive frame. For the game, first baseman Carlos Soto was 2-for-4 with two doubles, and center fielder Carlos Soler went 2-for-4 and scored a run. 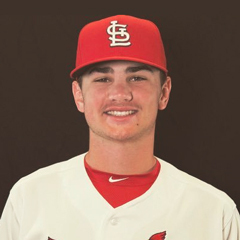 On the pitching front, Cardinals starter Perry DellaValle turned in six scoreless innings. DellaValle fanned nine batters and surrendered only three hits before the bullpen took over. Freddy Pacheco pitched 2/3 of an inning and allowed an unearned run. Pacheco was followed by Griffin Roberts’ 1 1/3 scoreless frames and a clean ninth inning from Edgar Escobar. Pacheco was credited with a hold, Roberts the win, and Escobar the save. Monday’s game: at Tigers West for Game 1 of the best-of-three title series, 11:00 AM Central time. The Dominican Summer League takes Sundays off and this week was no exception. On Monday morning, 9:30 AM Central time, the division-winning Cardinals Blue will take on the Rangers1 in the opener of the best-of-three league semi-finals.